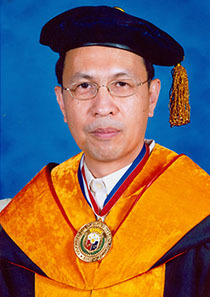 Dr. Rodel D. Lasco is recognized for his significant pioneering and outstanding works and accomplishments in the area of climate change, terrestrial ecosystems, agroforestry, and natural resources management. His research on quantification of carbon stocks and rate of sequestration of different land use types established the role of terrestrial ecosystems in mitigating climate change. The data generated by his project are now used to develop pro-poor carbon projects in the country which could be financed under the emerging multi-billion dollar carbon market. Dr. Lasco led a team of scientists from Southeast Asia that studied ways by which natural and social systems can adapt to climate change.